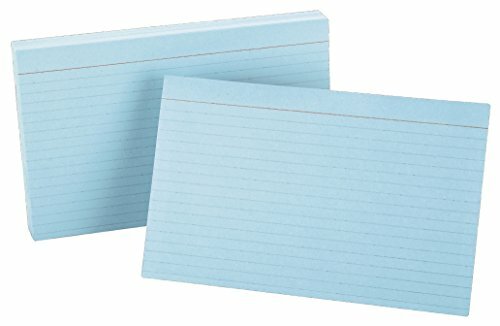 Oxford Ruled Color Index Cards help you commit it to memory with organized, color-coded notes. Score points for neatness with a classic blue rule perfect for lists, recipes notes or facts & figures. These versatile cards are durable enough for most any assignment. Proudly made in the USA. 5" x 8". Blue. 100 Per pack.